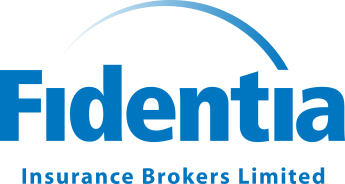 At Fidentia Insurance, we understand that choosing the right insurance policy is vital to the long-term health and prosperity of your business. Over the years our team have supported businesses of all shapes and sizes, including long-established family businesses, small and medium sized companies and also large corporates, operating across single or multiple sites and locations. This breadth of experience means we understand a whole range of commercial insurance issues and the importance of building policies which are fit for purpose and reflect the nuances of your business. Of course every business needs an insurance package that is price competitive, but policies should also give you the cover and protection to ensure your business isn’t adversely affected by an incident. At Fidentia, our commercial insurance team will source insurance that best fit your requirements. That means finding out about your business first to ensure the policy reflects your operations now, and is also flexible going forward - as the business grows or adjusts to new market conditions. All our clients receive a dedicated and loyal account team committed to the highest service standards. Find out more about our client service approach. As Lloyd’s Brokers we can source the best insurance for your business be it via the Lloyd’s Market or other major insurance companies. The security of your insurance is paramount to us and over the years our commercial team have formed strong relationships with Underwriters and Insurers alike. Our close proximity to the headquarters of many of the major insurers in London’s Financial District, means we are well placed to negotiate (often face to face) on your behalf the ideal product at the best value for money. And, through the Lloyd’s of London branch office in Brussels, we will continue to support overseas clients effectively when the UK exits from the EU.